Last night in The Crew 2 I drove from New Orleans to Manhattan in about 20 minutes. 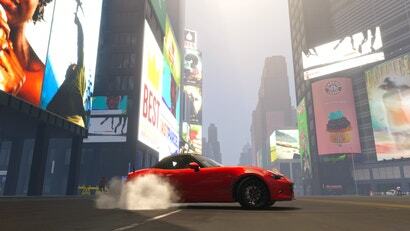 Behind the wheel of the free, workmanlike 2016 Mazda MX-5 the game gave me to start, I zig-zagged between other cars because one, I was going 240km/h and they were not; and two, narrowly avoiding collisions netted me 10 extra followers on the in-game social media each time I did it. Exposure is one of the currencies The Crew 2 is built around, used for unlocking new types of events and vehicles. But despite the tens of thousands of made-up people allegedly tracking my progress, I felt pretty lonely.